Impractical Jokers star Brian ‘Q’ Quinn has laid the smackdown on current WWE Tag Team champions The New Day! Big E, Xavier Woods and Kofi Kingston better get ready for war as one fourth of The Tenderloins comedy troupe will gladly take them on in a wrestling match-up. 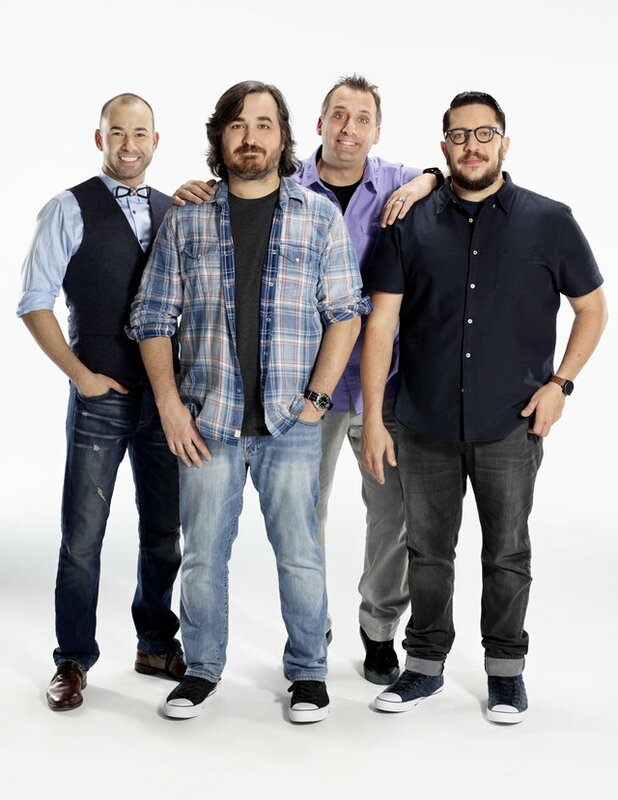 EF exclusively interviewed the Impractical Jokers on the eve of their recent UK tour, which saw the friendly foursome play 4 sold-out shows in London and Manchester. Talking to EF’s Jason, Q was asked which one of the Jokers he would choose to form a tag-team partnership with, and who would he like to go up against, past or present WWE? Perhaps a Summerslam match could be on the cards? We’d pay good money to see that! Make it happen WWE! Check out the full interview with Sal, Q, Joe and Murray from The Impractical Jokers. Catch brand new episodes of Impractical Jokers on Comedy Central UK, Mondays at 10pm.